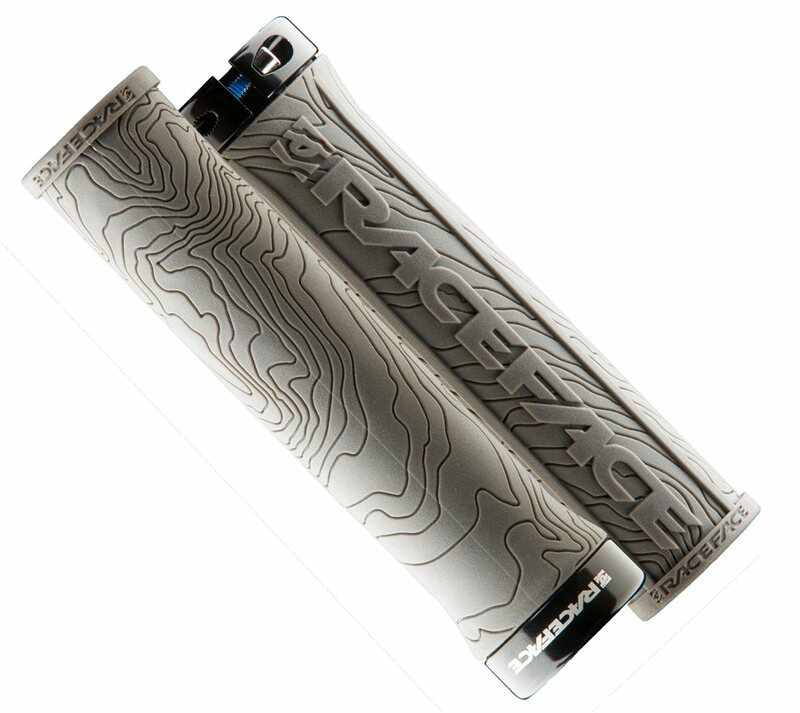 The Race Face Half Nelson grips are designed to give you a super tacky thin feel straight out of the box. Don’t hassle with purchasing thick grips that need to be broken in. Bought these grips to replace a more typical ODI-style grip with clamps on both ends. I wanted a grip that gave me a useful surface all the way out to the edge of the bars, and these provide just that. Without the metal lock ring at the edge, these are much easier on my palms. The grip has a tacky thin feel which is great. The main complaint I have is that because there is no lock ring on the outer edge, the rubber there does not feel as solidly locked to the bar as I would like. It rotates around the bar slightly during rides, which makes me feel like I have less control over the bike. If you don't ride with your hands at the very edge of the bars, you aren't likely to notice any issue. These were on my rigid Surly 1x1 when I bought it. They're super easy to hold on to, and extremely minimal. But after long rides my hands would start to get sore, so I swapped them out for Oury ODI Lock-Ons. If you like thin grips that are easy to hold on to, these are perfect. 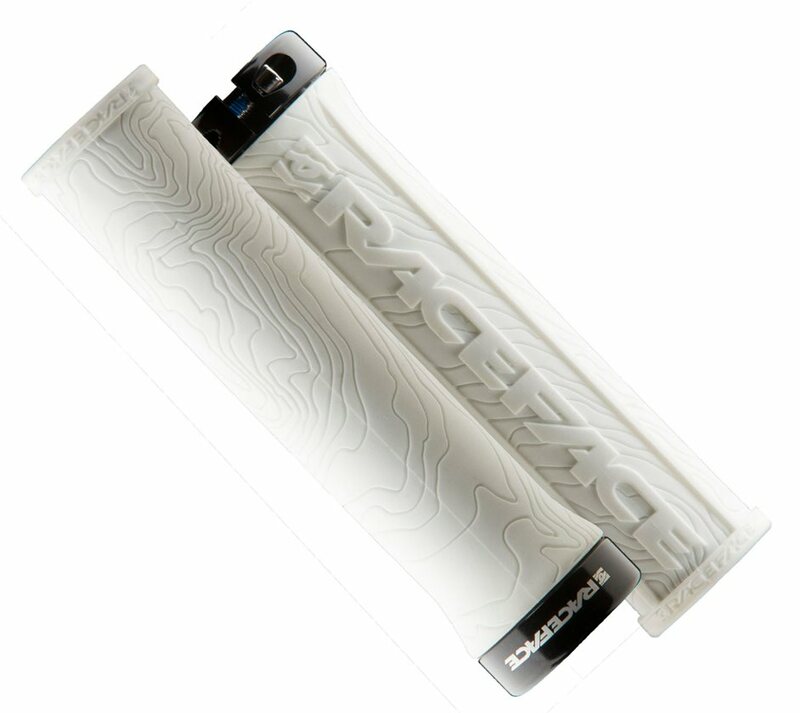 If you're riding rigid like me, you probably want something with better shock-absorbing properties. 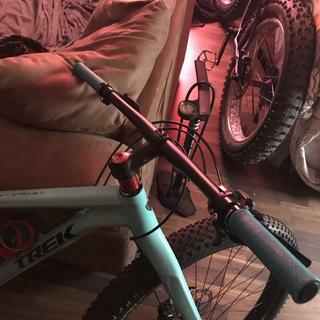 Thinner compared to oem Specialized Stumpjumper grips if that's a good or negative thing. They are grippy as mentioned by others where I can appreciate the smooth form and pattern. I like the one side lock-on feature these grips offer too. I bought the grey versions and they look nice. 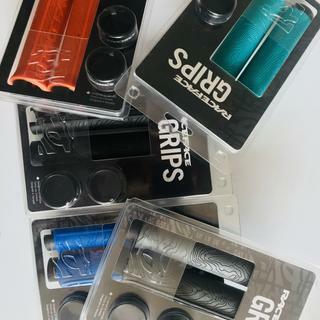 Impressive grips, the lock on design makes a world of difference when changing grips and these are very high quality. They do come with bar plugs but they're just plastic ones. These are defiantly worth the money. They are my first set of aftermarket grips. They are easy to install, and feel great! Best grip on the market. Super sticky just like I like them. Amazing color choices as well. 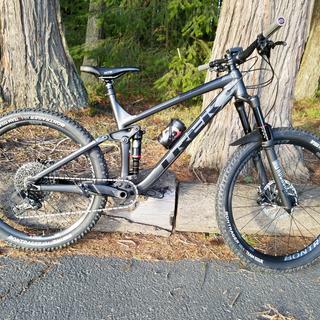 Plan on buying again for another bike. Great brand. Grips arrived very quickly. Box arrived complete and in order. I love the grips!! They look great and have a ton of grip. I do not have to worry about my hands slipping with these. They look great and feel just as good!!! Great feel, great look, great grip. Love these things. skinniest grips I could find. I ride w/ and w/o gloves. Works great for both. Great cross country grips with attractive design. 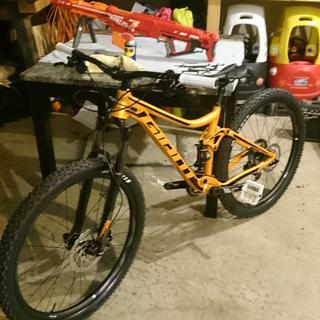 I bought the orange color to bling out my Superfly AL100. Grips are very comfortable and just tacky enough. Very easy to install and the colors look great. Never been disappointed with any race face product!! These grips look and feel great. You have to play with the setup just to find the most comfortable place for the logo to sit. Best lock on grips hands down. I have used different colors of these over the years on several different bikes and never had an issue at all. Would highly recommend these grips and always do recommend these grips. Was initially concerned about the single lock on set up but after running these for a few weeks, including the wettest ride I've ever had no slipping and no slickness of the grip it self. Great upgrade over stock grips. I bought these to replace my worn out grips on my trail bike and bought a second pair for my hardtail to replace the stock grips. I have experienced stock grips sliding around on the handlebars and the lock rings prevent that. Love the grip! Definitely will buy this again. I bought these instead of the ODI TLD's that seems like everybody is running because they look better and the single grabber seemed enough for me. These have a great sticky feel all the way to the end of the bar and the color matched my build perfectly. Love RF's products. as expected the delivery was on time. Would buy again and I love them!!!! Great grips. Had the right color and functional are top notch. These were replacements for a set that had locks on both ends and these are definitely a comfort and functional upgrade. Best grips I've used in a long time. Good grips. I prefer these over the ticker chunky grips. Great design and great function. Easy to install and they look great. Very comfy grips. These grips are awesome. Super light weight. I came off of ODI ruffians which have been great as well. It took a bit for my hands to adjust to the size differences though. Love these grips. Of all the grips I’ve had over the years these are my favorite. I do several Enduro races a year and they perform great. A secure, single clamp, lighter design. Especially like the smoother, less textured grip pattern with the waffle pattern only at the fingertips for a good balance of comfort and grip in a thin design. 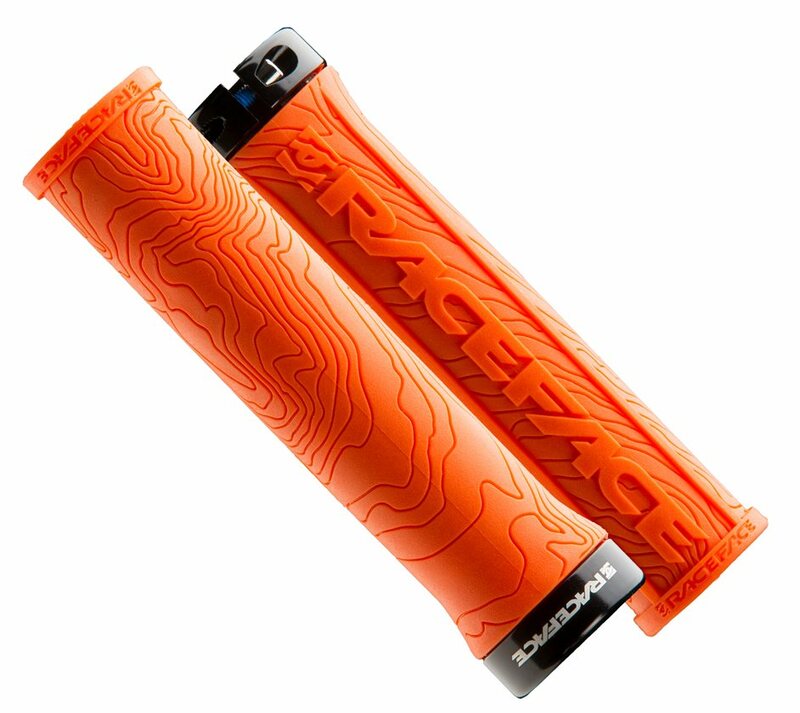 The topo map and logo graphic with array of color options makes for a winner. 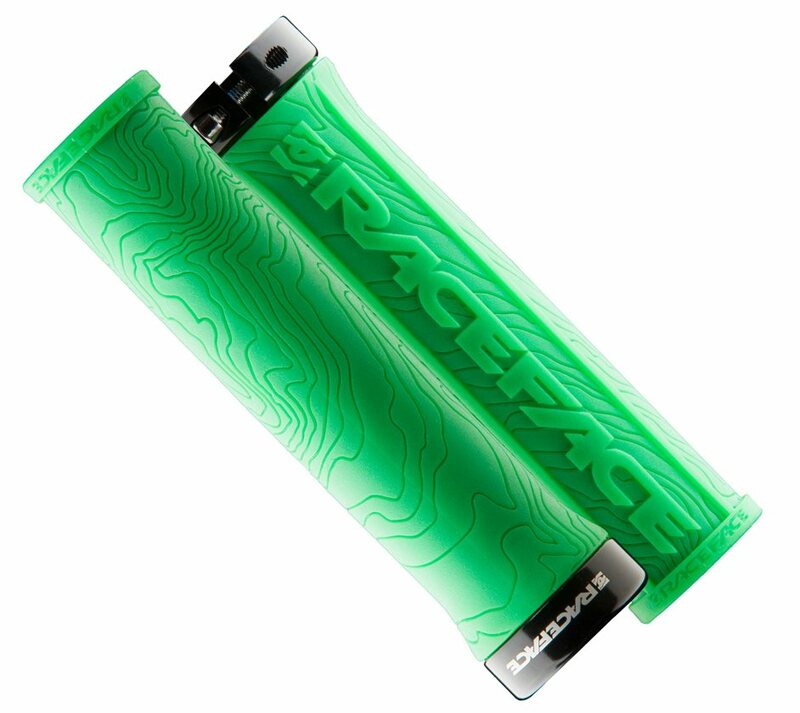 Honestly bought these because they looked cool and I love the RaceFace brand. Come in some awesome colors and were inexpensive. What more could you want?? Great product they are extremely easy to install. Very comfortable and I haven't had any slippage. Great grip that is wearing really well. Only 4 stars because I can feel the outside of the grip move slightly. Downside of clamping on just one end. Grip stay in place altogether though. these grips feel great and look great too, I have these on both my bikes. 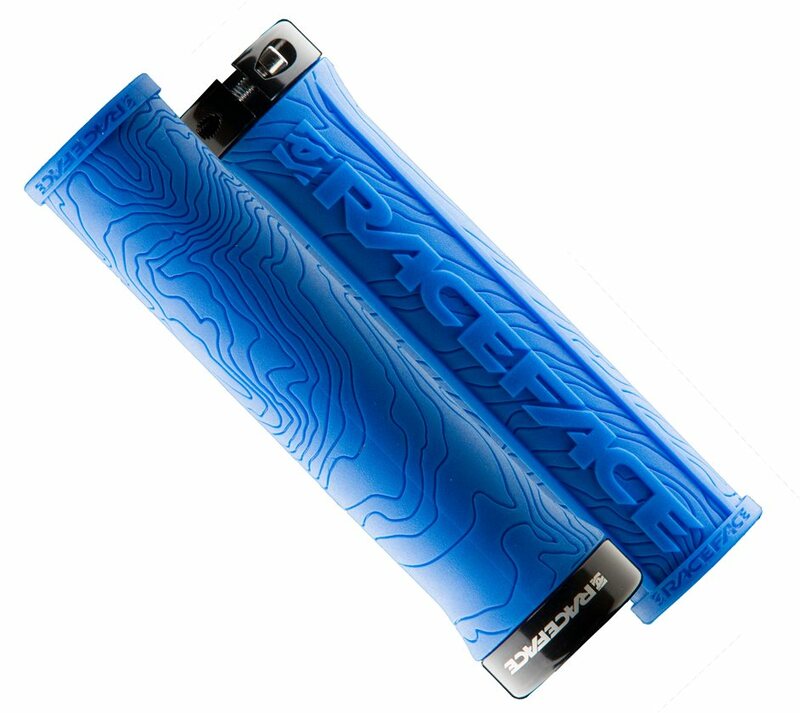 These race face grips are very thin and super comfortable. The one sided lockon holds the grip in place nicely without slipping and it saves a tiny bit of weight too. Bottom line, if you like very thin grips, this product is a winner! Nothing fancy, they simply do the job. These grips look great and provide great grip without being "sticky". The only fault I have with them is the raised bars above and below the "Race Face" logo can become somewhat uncomfortable after a long ride. Great grip but not for carbon bars. Great grips. Only down side is they rattle on carbon bars. 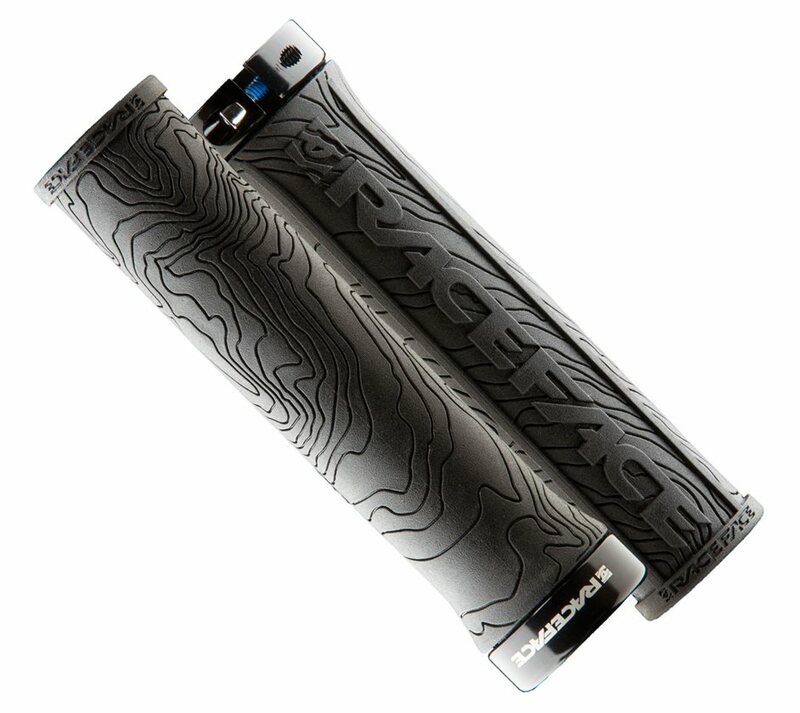 Other thane that these grips are awesome. Nice grips, easy to install and feel good. Very quick and easy to install. Attractive design, but also a grip you can rely on both with and without gloves. Comfy, grippy, look good. Only critique would be a more full end cap that marryies up next to the grip. Lots of colors. Not going to lie, that's why I got them. The lock on works fine. No need for the lock on both sides. Compound is good. Absorbs vibration without feeling squirmy. 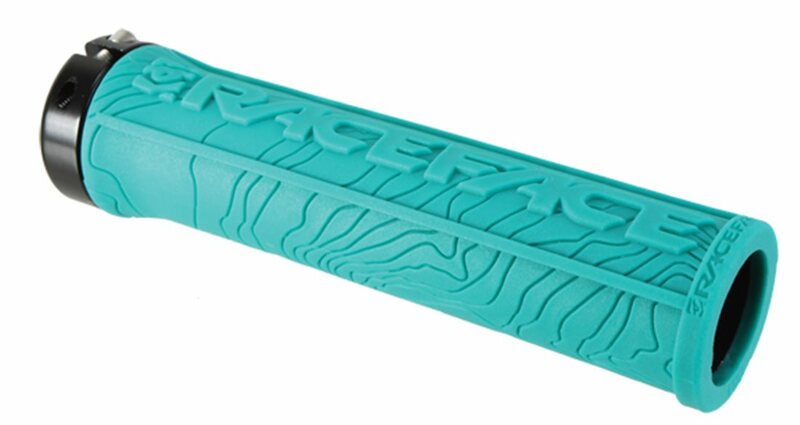 "RACE FACE" wears out before the rest of the grip and isn't as comfortable for the fingers as the rest of the surface. Kind of hate this type of impractical branding. These do everything as advertised. They lock on and they grip. 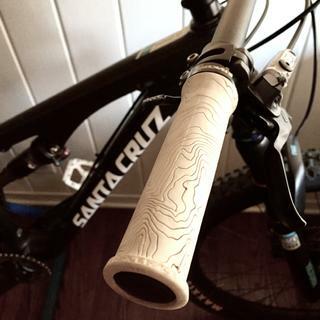 I've had a couple pairs of the Santa Cruz Palmdale grips and these feel about the same. I love how sticky these grips are. Your hands will not slip. Unfortunately, the entire grip will. The tube is a little oversized and wen clamped down to carbon bars at 5NM they will slip. I ended up coating the bar with a light layer of rubber cement then sliding the grips on. This was the only way to keep them from slipping once tightening up the single clamp. To save weight there is only one clamp. I now know why most use two clamps. However, the rubber cement has been working, just not sure over the long term. I did buy two sets and both sets act the same. One on a carbon Niner bar and the other on a carbon Easton EC90 bar. I would say that these would probably work great on an alloy bar, but even clamped down, the inner plastic tube is so thin that it allows the grip to twist even with the clamp not moving. I would recommend somehow gluing them to the bars so they don't move. Rubber cement seemed best to me because it could easily be removed if needed. 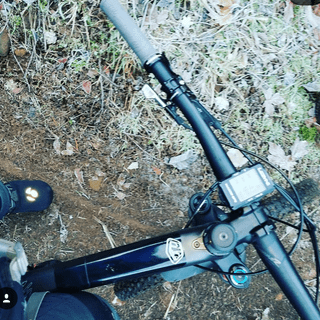 Can you "lock on" the grip at the outside of the handle bar? I feel like attaching them this way if you clip some trees you won't tear up the grip. BEST ANSWER: Theoretically you could, but I think it would affect the stability. They have other grips with lock rings on both ends. Also, there is a taper in the silicone by the lock ring and none at the other end. IMO that would feel akward. No. The lock is only on the inboard section of the grip. 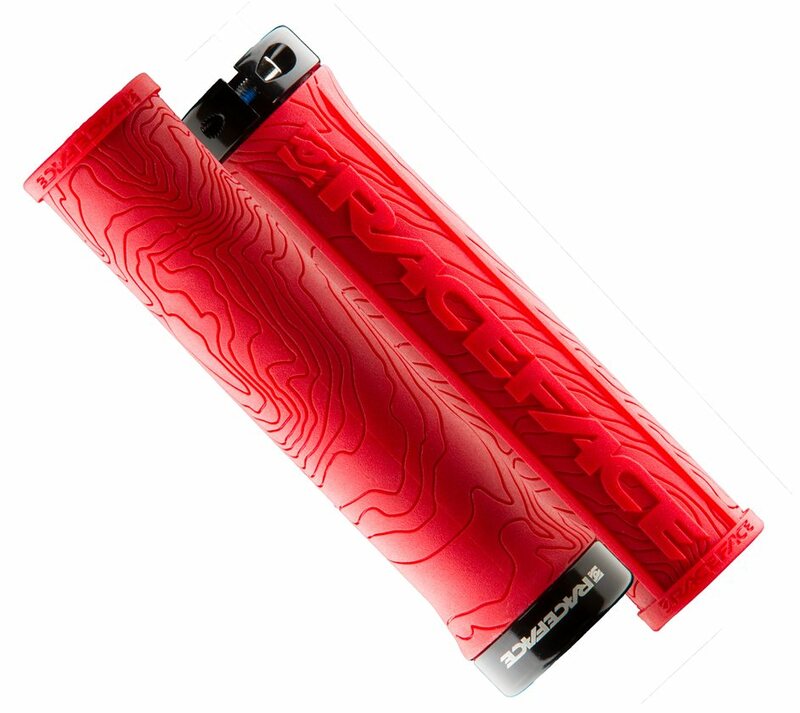 If you lay your bike down a lot you will shred the outside end of the grip, but will probably have bigger problems anyway. Is the yellow more of a mustard or florescent?